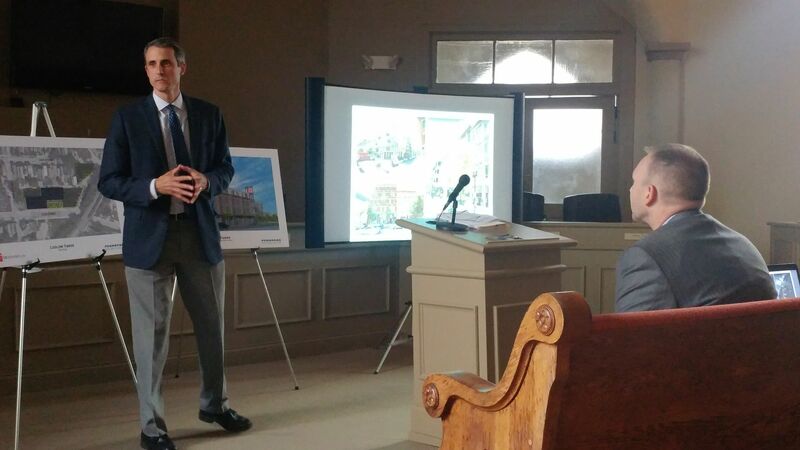 For the first time, the public and members of the city government saw renderings and heard plans for the development that aims to bring more than 70 market-rate apartment units, with most having income restrictions, and 5,000-sq. ft. of commercial space on the street level. The design and scale of the project was panned by some in attendance. 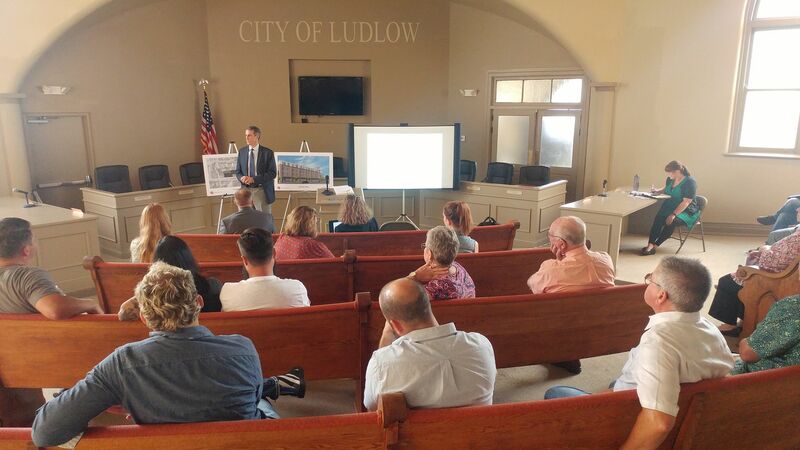 "I'm not convinced this is the best thing for Ludlow," said Councilman Tom Amann. "I said from the day we did the voice agreement to have Pennrose do it, I said from day one, we need to sit back and wait to see what is the best use for this. And I'm not sure that 72 units is the best use for this piece of property. "I want to see something more unique. It's nice. It's pretty. 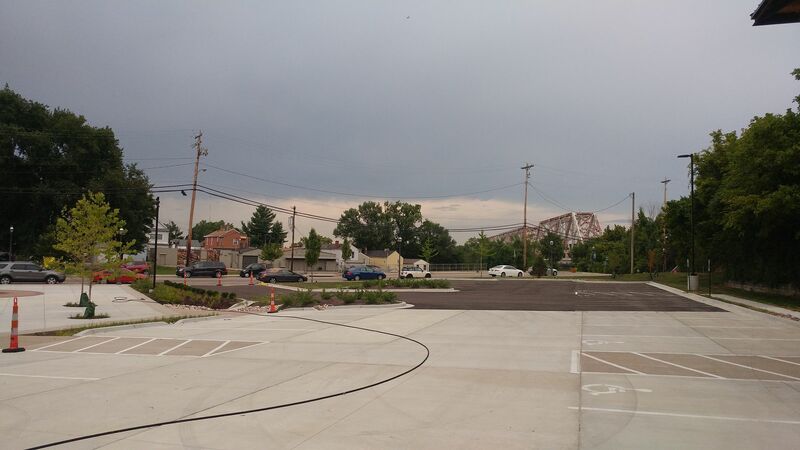 But it doesn't look unique and I don't think it should be at the very front of our city and of our main street." Representatives from Philadelphia-based Pennrose, which won the opportunity to develop the site, presented the company's plans. 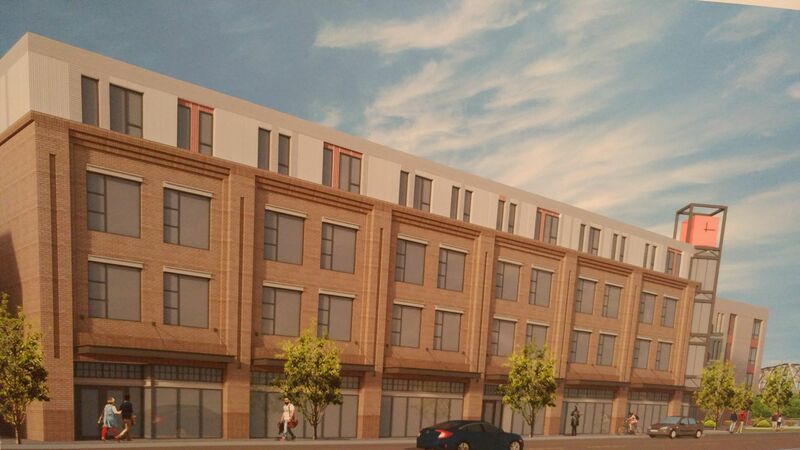 The four-story building would go up on an empty lot on Elm Street across from the city building and new municipal lot, would have 73 units, 76 parking spaces, and a public plaza. Lasserre Bradley, the Cincinnati-based regional vice president of the Midwest region for Pennrose, said that the company took "a lot of cues" from the vision rendering for the project created by Covington-based Hub + Weber Architects, which did not seek to create the project officially. "This was an industrial motif," Lasserre said of the Hub + Weber design. "So, even though it's new construction, it would look and feel like an historic warehouse." But the rendering did not take into account the $13.5 million cost of the project and Pennrose is still working on its financing plan for Ludlow Yards, a mix of private equity and tax credits. The tax credits being sought through the Kentucky Housing Corporation will require that 70 percent of the units be reserved for renters who make 60 percent of the median local income. The Pennrose plans call for a cement board product with a wide variety of texture, colors, and looks, Lasserre said. "The direction we went - we had this industrial idea and we tried to push a little more to modern." He conceded that in earlier meetings, the modern look was not well-received and the company has been pushed for a more historic-style in its design. Pennrose is seeking approval from Ludlow city council on the first draft of a development agreement, which would signal that the project can move forward. That issue will be taken up by council soon. The company has a September deadline to submit its application for tax credits from KHC, which will then be sold privately to raise more dollars for the project. The tax credit-related restrictions on some of the units would be in place for thirty years. Final design plans will also have to be approved. Based on the meeting Thursday, alternative designs should be expected. "This town can't look like this thirty years from now," said resident Jeff Warman. "I would ask for more effort and more understanding put into why this design is going to hold up and what's the benefit to the city in the long run." "Most of the people in Ludlow would like to see a restaurant and I think we never got a report from the selection committee (that selected Pennrose), but I think the selection committee was saying what they wanted to see - some kind of restaurant," Amann said. "I don't think time is of the essence here. What we do with this space is going to have an impact for at least the next thirty years if we do these affordable tax credits and we're going to be stuck with what we do if we use those affordable tax credits. "Why don't we take a breath, step back and see what the market will do?" 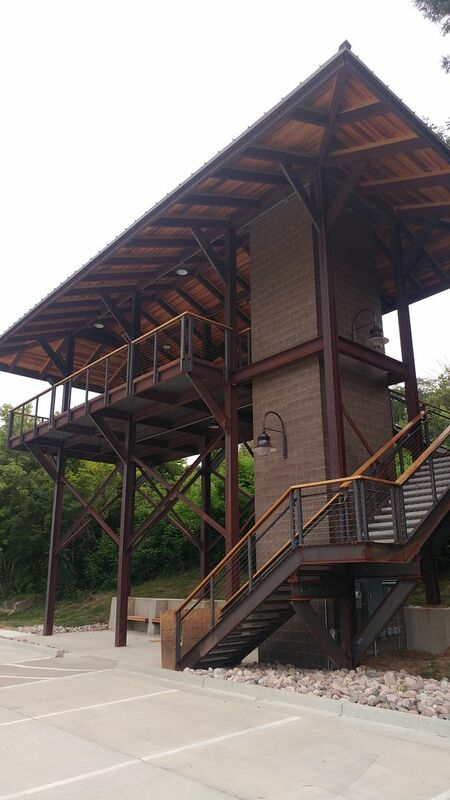 Amann said that the city spent $1 million for the train viewing station and municipal parking lot, and another $1 million for the city's new public works building. He said the proposed project would be more attractive with an anchor commercial tenant attached, or an opportunity for Ludlow-based Second Sights Spirits to expand. "If you, as a developer, would say, let's do something to put you in this Yards and sign a 10-year lease, that's what I want to see," Amann said. 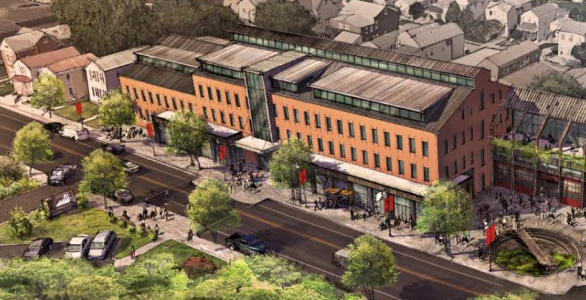 "I don't think we should be set on 72 units with 5,000-square feet of commercial." Lasserre said that it is too early to begin negotiations with possible tenants, since most would prefer to see a white-box space before making such a long-term commitment. Still, the crowd on Thursday was less than enthusiastic. "This town is too small to do something just because we can, and cut corners because of cost," Warman said. "I would love to hear, if council passes this, why we have to have this, why we cannot pass up this opportunity." Lasserre applauded the city government for its steadfastness in moving forward on the project, citing its acquisition, the demolition of a structure there (the proposed development will also require further demo of a pair of neighboring homes, and negotiations are going well, Lasserre said), and for the creation of the "visionary" design by Hub + Weber. "What we have done here is very much in keeping with that vision," Lasserre said. "Nobody said that vision was our vision," resident Joy Amann said. "It just showed up some day." City administrator Elishia Chamberlin said the project would bolster Ludlow's housing opportunities. "Right now, our housing stock is great. There are starter homes for young families, but the single person may not want the responsibility of home ownership, but this gets them to Ludlow," she said. "The aging population isn't the aging population of twenty years ago. People over the age of 60 are running marathons and buying motorcycles. They don't want to live in nursing homes. Those were the two demographics we were looking for." As presented, there would be a mix of residential units at Ludlow Yards, with studios at an estimated rent of $823, 1-bedroom units at $882, and 2-bedroom units at $1,057. Though the units would be income-restricted, Lasserre said that they are not subsidized homes and that tenants will be responsible for the full amount of their rents.